At Esslie & Frenia, P.C., people know that they can turn to us for estate plans that are tailored to their needs and goals. At our Cairo, New York, law firm, we provide personal service to the people we represent. When you come to us for an estate plan, our experienced attorneys will work closely with you. We will begin by talking with you about what types of assets you have and what concerns you face. You may have specific concerns — like making sure that your children inherit certain important heirlooms — or you may want a plan that generally reduces the cost of probate. We will draft an estate plan that is right for you. A complete estate plan is more than just a will. 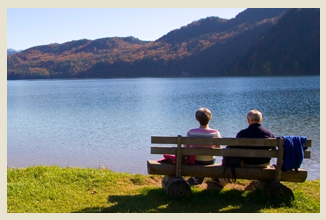 Estate plans may include wills, powers of attorney and health care proxies as well as trusts. The best strategy for asset protection is to speak with a lawyer as soon as possible about your estate plan. If you do not have a will, New York state law will determine how your assets are distributed after you pass away. Things might not go to the people intended, which can sometimes cause family infighting. Even more, failing to have a health care proxy in place can mean that your wishes are not followed in a health emergency. If you are ever seriously injured and unable to communicate, preplanning can mean that your loved ones understand how a decision should be made. They can make decisions for you, taking into consideration your feelings about your health and future. Preplanning is also important so that you can receive important Medicaid benefits. The government looks back five years when considering whether you are eligible for Medicaid. If you have transferred assets out of your possession in that time, you may be required to return the money back to offset the care you need in a nursing home. It is important to think about these things while you are well, so that you and your family have time to make well-considered decisions that are right for you. We offer free consultation to answer your questions and help guide you in the right direction. To make matters more convenient for our clients, we also offer home visits and after-hours appointments, as needed. Our estate planning attorneys are willing to travel to other areas throughout New York state in order to effectively represent our clients. We can help guide you in the right direction. Contact us by calling 518-622-9910 to speak with an attorney.